At Elegant Homes, we are proud to support local community groups who make a real difference. 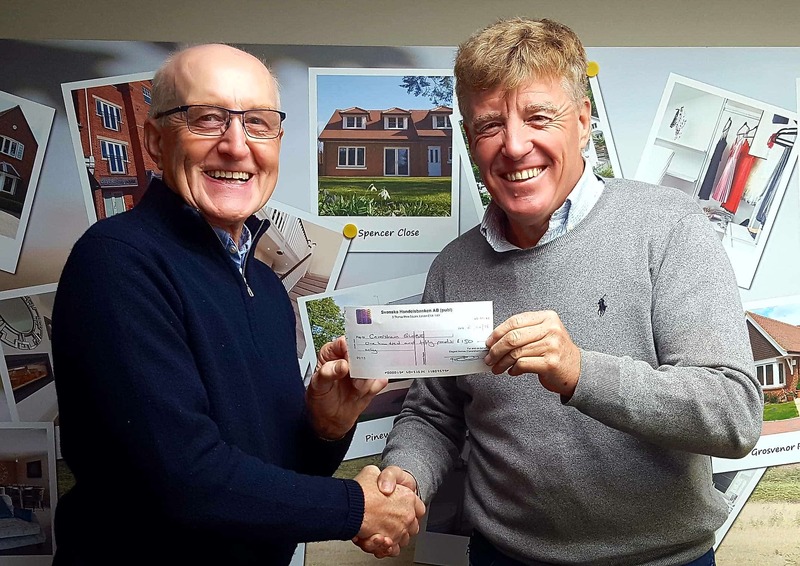 This is Peter Neville handing over a cheque to Richard Denney of Caversham GLOBE (Go Local On a Better Environment). GLOBE work to improve and protect green spaces for the benefit of wildlife and local residents. Their recent work includes repairing the timber street planters in central Caversham as well as graffiti removal and litter picking. We are pleased to contribute towards improving Caversham’s environment. At Elegant Homes, we encourage all our staff to continually improve through personal development, CPD and education. Our Operations Director Nick, who advocates an ongoing learning environment, encourages and supports our team in this area. Nick is passionate about construction and was recently asked by his university to go back and give a voluntary lecture on building services. 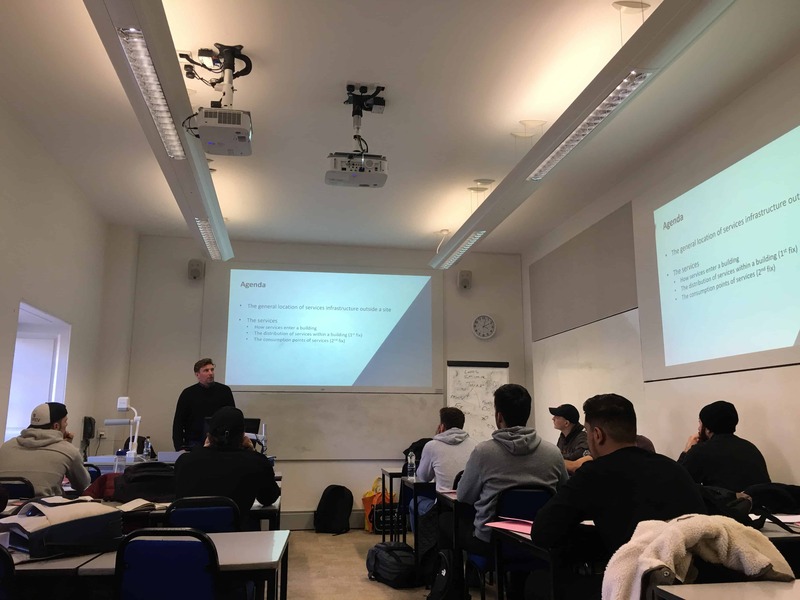 This gave students the opportunity to learn a practical approach in dealing with issues relating to this area and an insight into what they can expect from every day Construction Management. Two Caversham businesses are set to help an Olympic rower on his way to success at Rio 2016. Sam Townsend has been supported by both Elegant Homes and Farmer & Dyer. The two companies will provide funds for a topline racing boat for Townsend’s training and competitions. They have both been inspired by Townsend, who rows for Reading University, and will continue to follow his journey in the lead up to Brazil Cup in Sydney earlier this year. A cricket festival was held for youngsters in Henley on Tuesday. Thirty pupils from Chiltern Edge and Highdown took part in the event at Henley Cricket Club’s Brakspear Ground. It followed three months of weekly coaching sessions by Performance Cricket at the two schools as well as at Gillotts. The festival, which included matches between the schools, was the culmination of the programme. A chartered surveyor has been working free of charge to help Henley Cricket Club build its new pavilion. Peter Neville, who runs Elegant Homes in Caversham, wanted to make sure the £500,000 project is complete by the start of the new season in May. The previous pavilion, which was 76 years old, had become dilapidated and was demolished in September. The framework of the new building is already in place and the insulation will be installed before the timber cladding is added.